This event is packed with wonderful speakers who will help re-ignite, re-empower, and re-birth you to live the best life possible" said Dr. Kym Caporale, acupuncturist and wellness advocate. 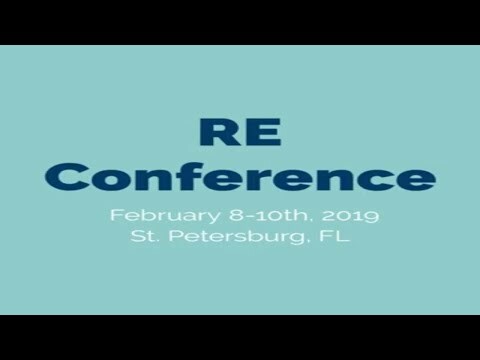 TAMPA, FL, January 09, 2019 /24-7PressRelease/ -- Renee McLaughlin and Dr. Kym Caporale invite you to the RE Conference in St. Petersburg, Florida on February 8th through 10th, 2019. This 2-day conference will be held at the Hampton Inn & Suites, situated right across from the marina to enhance the experience of rejuvenation. "Typically, women put everyone else first and hardly make time for themselves. I find retreats allow women to get away from their daily routines to rejuvenate and then return to their families stronger and decompressed," said Renee McLaughlin, somatic movement educator. During the retreat Renee will co-host with Dr. Kym Caporale and teach relax and release techniques to the attendees. "We will get up out of our seats and move our bodies and have fun. Movement is the best medicine for your mind, body and spirit." "This event is packed with wonderful speakers who will help re-ignite, re-empower, and re-birth you to live the best life possible" said Dr. Kym Caporale, acupuncturist and wellness advocate. "I'm so excited other community leaders wanted to come and share their expertise and wisdom with women." The speakers are sharing the latest in aesthetics, health, mental health and spirit. If you can imagine coming to beautiful St. Petersburg in February when the average temperature is 72 degrees to enjoy the sun, good food, fabulous speakers while at the same time focusing on you. •	Sharon Fekete - RE-Birth! •	Dr. Kym Caporale (Co-Host) will be sharing her expertise in all phases of women's health. Kym will also speak about RE-Inventing yourself. Dr. Kym Caporale DACM has a passion for integrative medicine and a spirited belief in the implementation of a patient-centered approach; incorporating the best of modern and holistic medicines. Using a personalized approach to medicine, Dr Caporale is often described as a relentless advocate about natural approaches to disease prevention and elimination. A Florida licensed and board-certified Acupuncture Physician, Dr Caporale holds a doctorate degree, from Pacific College of Oriental Medicine, holds three master's degrees in oriental medicine, communication disorders and education. Having over 30 years of experience in clinical settings and sharing her expertise with clients and practitioners throughout the United States and Europe, she specializes in antiaging, women's wellness, immune disorders and pediatric diseases. In addition to running her clinical practice and offering acupuncture in Tampa Bay Florida, she is an adjunct instructor at East West College, a clinical supervisor and sits on the institution's oversight committee and provides continuing education courses to fellow medical colleagues. Dr. Caporale has authored many programs and articles regarding family health and disease prevention. Dr. Caporale is the CEO of two health promoting companies which formulate creams and oils to relieve pain, discomfort and rejuvenating the body. She is an accomplished motivational speaker on health-related topics and current issues in health.